Don’t like the upcoming iPhone SE2 but still looking for a new “budget” iPhone? Then great news for you, because Apple appears to be working on a “budget” new iPhone X style smartphone. This iPhone might be dubbed as iPhone X SE. According to GSM Arena, the 6.1-inch iPhone is labeled as the “budget” model because it is expected to only feature a single rear camera and Face ID 1.0. In addition to that, it won’t be featuring a 3D Touch to which GSM Arena notes that it isn’t something many people won’t mind not having. 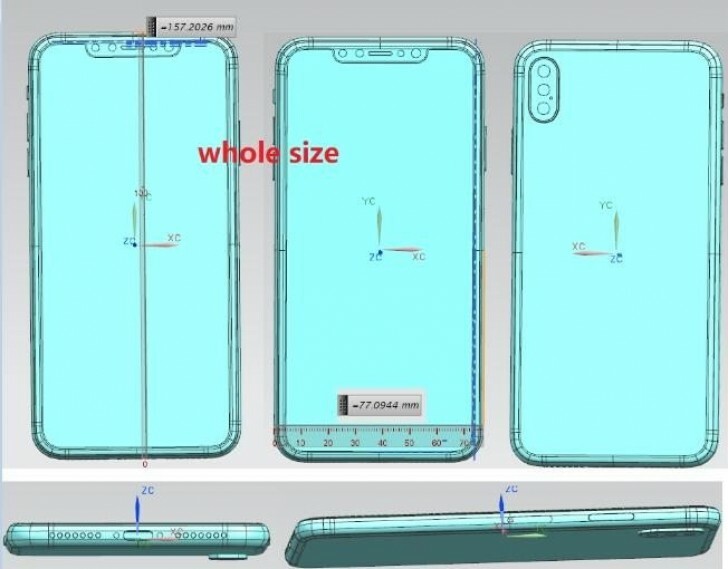 Based on the schematics, the budget model measures 147.12 x 71.52mm and is taller than the 2017 iPhone X which measures at 143.6 x 70.9mm. As for its price, sources have indicated that Apple could cut the price of the upcoming iPhone X SE by $300 over 2017’s model – this already includes the price of the $100 fast-charger. So, given that the Apple is reportedly going to release a “budget” model of the iPhone X, how is it compared to the iPhone SE2? Well, in terms of size, reports suggest that it will be smaller than the iPhone 8 which indicates that it will feature Touch ID. As for the design, it will maintain the traditional iPhone design (with bezels) — that is if the company plans to give it a Face ID feature. Compared to the budget model, the flagship model is reported to feature Face ID 2.0, a 6.5-inch 19:9 OLED screen in a body measuring 157.2 x 77.1mm, and a triple rear camera. Regarding its camera features, despite the fact that Huwaei beat Apple to market this technology with their P20 Pro, Apple’s triple lens setup is still currently unknown and no one knows for sure if the Cupertino company will follow the P20 Pro’s monochrome camera aiding the primary and telephoto module which produces class-leading low light photography. So what do you think about the iPhone X “budget” model? Would you prefer iPhone X SE against the iPhone SE2? Do share your thoughts and opinions in the comment section below.